Got a question or comment about Attractions in Armenia? Ask a Travel Expert! Despite some truly heavy-hitting historical and cultural attractions, Armenia remains an underappreciated tourist destination. 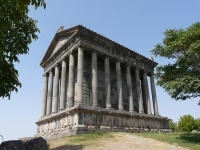 As the first country in the world to adopt Christianity it is no surprise that Armenia is dotted with ancient churches and monasteries, making the country primarily a religious tourist destination. Being off the radar of package tours and a little hard to get to only adds to the mysterious biblical allure of the region. The biggest tourist attractions include the 17th-century Khor Virap Monastery, an important pilgrimage site loomed over by the iconic Mount Ararat, where Noah is said to have landed the Ark; the Etchmiadzin Cathedral, reputed to be the oldest state-built church in the world; the 2,000-year-old Garni Temple, a gloriously well-preserved Pagan temple; the archaeological site of Carahunge, called the 'Stonehenge of Armenia'; and the UNESCO-listed Monastery of Geghard, built in 1215. Visitors will also enjoy making their way along the scenic Debed Canyon, past old villages and monasteries such as Haghpat and Sanahin. The Erebuni Archaeological Museum dates back to before the establishment of Rome, giving insight into the lives of the great kings of Urartu. Sunset over Norovank ('New Monastery') is said to be one of the most spectacular sights in the country. In the global imagination Armenia is also strongly associated with the horrific Armenian Genocide of 1915, during which Turkish troops killed about 1.5 million Armenians. 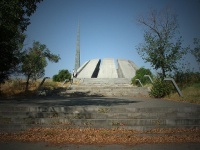 This tragic history is memorialised at Tsitsernakaberd, part museum and part memorial, where travellers can learn about the Armenian holocaust and pay their respects.